Just before you all depart on your summer holidays come and join your friends at CRFC. The bar will be open from around 6pm and a BBQ will be available. We will supply the charcoal, all you’ll need to supply is your food. This has always been a fun night out and a great way to celebrate the end of summer term. If you’re unable to camp (or simply don’t ‘do’ camping) you are very welcome to come for just the evening and BBQ with us. 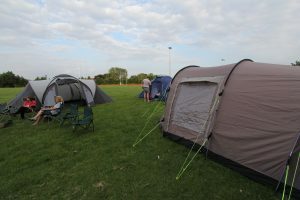 If you are camping, please bring your own equipment – tent, sleeping bags etc. Showers will be open if you wish to freshen up in the morning!! If you want to have breakfast on site please bring your own.So please let me know by e-mailing myself or your social secretary if you would like to attend, in order that I can ensure that there is sufficient bar staff available.